We always keep our Customers in mind as we come up with innovative ways for you to increase your savings. Ambit has joined forces with Sunrun, a leading solar provider, to offer affordable residential solar options to Customers. 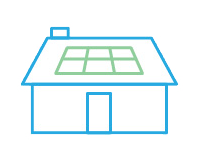 Solar service is available in California, Connecticut, District of Columbia, Illinois, Massachusetts, Maryland, New Hampshire, New Jersey, New York, Pennsylvania and Rhode Island. Sunrun is the largest dedicated residential solar company in the U.S., offering solar service to more than 180,000 customers. They bring nearly two decades of experience in designing and maintaining high-quality solar systems. Sunrun pioneered solar as a service, which allows homeowners to have custom solar systems without a significant upfront investment. To take the next step, enter your zip code and Customer information below. Select the solar option and complete the short enrollment form. After you’re finished, a Sunrun representative will contact you to complete the application and answer any questions. It’s that easy! FAQ What rate zone or region am I in? Is your monthly bill over $5,000? Thank you for submitting your custom quote request. To help us provide an accurate quote, please download and print the form below. Email the completed form to CommercialEnergyTeam@ambitenergy.com or fax it to (877) 475-3147. You have a unique business. 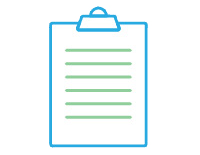 You need a plan that meets the specific demands of your business. Complete the form below and a dedicated Ambit Energy Commercial Specialist will contact you within one business day to discuss your customized quote. 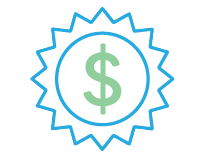 *Savings claim based on average Sunrun contract signed before September 15, 2014, payment by automatic debit and assumed annual utility rate of increase of 3.5%. Actual savings will vary. Savings depend on several factors, including product type, system production, geography, weather, shade, electricity usage and utility rate structures and rate increases. See sunrun.com/save20 for details.